ProLine snow melting systems and roof and pipe trace cable are among the industry's best industrial radiant heat solutions. ProLine Radiant offers proven products, backed by years of experience designing radiant heat systems for a wide variety of industrial applications. ProLine specializes in commercial radiant heat solutions. Backed by the industry's most trusted products, system design services and installation support, ProLine has become the provider of choice for professional builders throughout Northern America. 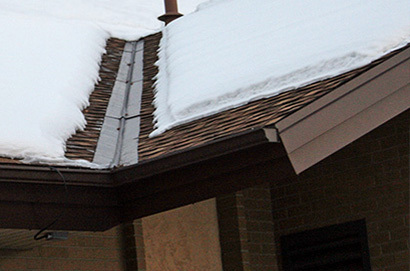 ProLine also works closely with contractors to provide residential radiant snow melting, roof deicing, and floor heating solutions. ProLine roof deicing systems are among the best in their class and can be designed and customized to meet your project needs. ProLine also provides free radiant heat system installation training, professional system design and layout services, and personal installation support. ProLine teams with its customers to ensure that the system is installed correctly and performing as expected. The versatile ProLine electric snowmelt system can be utilized for a variety of radiant heating applications, making it a popular snow and ice melt solution among homeowners and professional builders alike. 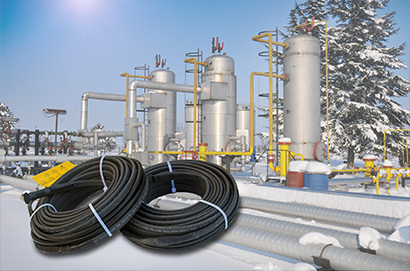 The heat cable is available in mats and on the spool, making it a versatile, easy to customize solution for all types of custom snow melting applications. 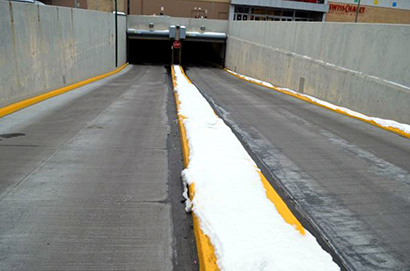 Radiant snow melting systems aren’t limited to new construction jobs. Asphalt driveways can be easily retrofitted with radiant heat, and concrete driveways can also be retrofitted with radiant heat buy using saw cut technology. ProLine Radiant will work closely with you to determine the best solution for your customer's snow melting needs. Contact a radiant heat professional today at 866.676.9276. Read COMMENTS FROM PROLINE CUSTOMERS. Installing a heated driveway is a wise investment in your home that can raise the value of your property. Fortunately, radiant snow melting systems aren’t limited to new construction jobs. Existing driveways can also be retrofitted with radiant heat. Asphalt driveways are particularly easy to add radiant heat. Concrete driveways can also be retrofitted with radiant heat using by using saw cut technology. 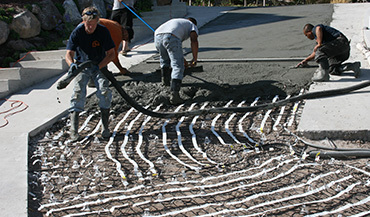 Each project varies, so call a radiant heat expert and discuss the options for heating your driveway or sidewalks. 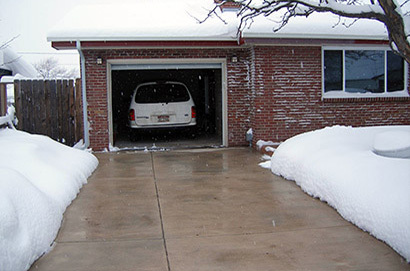 You may be surprised by the many driveway heating options that are available. Talk with an expert now. ProLine consultants are experienced professionals who partner with you to deliver the best radiant heat solution possible. In addition to offering industry leading products, ProLine includes technical support services. ProLine also offers free radiant heat installation training. Call 866.676.9276 to sign up today. ProLine includes professional radiant heat system design and layout services.